So this is a live Q&A … you can ask me any questions you like about blogging and writing for the next four hours. That’s 5:00-9:00 p.m. East Coast time in the U.S., today only (Thursday Nov. 20, 2008). Again, ask me whatever you like … but I can’t guarantee I’ll be able to answer everything. 🙂 I’m just a regular blogger and writer, and I can share my experiences and what I’ve learned, but I don’t know everything. So ask away! I promise to do my very best. Hey Leo, guess I’m too late to get a question answered, but just wanted to say this was a really cool idea! I’ve learned quite a bit just from reading your responses to questions from others. 🙂 Thanks for taking the time to do this! My question: How to continue with my blog if the personal development niche is not so popular? The problem is that in my country the personal development niche of the internet is not so developed and also not searched. Have you ever been in my situation? PS. I love your writing. You have something special on it. Thank you for all articles and keep doing it. Sorry for posting the question so late but it was 1.00 am in my country when you were live. @Angel Cuala: Thanks for the feedback! Actually, I posted to this blog more than a day before the Q&A to let people know about this in advance. Maybe you’re not subscribed to Write To Done? Please do if you’re not! @Content Maven: Yep, from my experience you definitely can submit to more than one agent or publisher. If an agent is interested, you could sign with that agent who would probably then shop it around to different publishers herself. Hi guys, wasn’t that a great opportunity to learn from Leo?! He’s such a helpful and generous guy. Don’t worry if you were too late with your question. Just ask it anyway and I’ll make sure it’s recorded. Maybe I can persuade Leo write a report with all these answers and more! In the meantime…I reckon it would be great to have a newsletter at WTD. Then Leo could maybe answer some of your questions more in depth each month. What do you think? I have a book proposal & sample chapter (non fiction). Can I submit the proposal to multiple agents or publishers at the same time? I am afraid I was a bit late. Your post just came in to my email. May I request then that next time to make it a bit longer? But as I browsed the Q & A, I found all of them useful and informative. OK, time’s up!!! No more questions, please … if there are questions below this comment I won’t be able to answer them … I’m off to do other work! I just wanted to say thank you all for participating. I’ve enjoyed talking to you all, and it’s been a great reminder for me of all that I’ve learned and gone through as a blogger. You’re on an exciting journey, as am I, and I hope it’s as fun a ride for you as it is for me! I hope to do this again sometime soon … maybe next month or the month after. It’s a great way to interact with all of you. Well, I have to admit that things have definitely changed for me as a blogger … success brings amazing new opportunities but also some new challenges … bloggers who want me to link to them, authors who want me to review their books, websites that want me to be their partner, people who want to buy links within my posts (which I don’t do) … I’m not complaining, though, but just pointing out that I definitely have to change the way I operate to stay sane. I don’t get to answer comments as much as I used to — I used to respond to every single comment! Those days are long gone, sadly. But as for staying grounded … I think the key for me is gratitude. I try to remind myself of all that I’m grateful for, including my wonderful, encouraging readers, my simple lifestyle made possible by a full-time blogging job, the ability to do what I’m passionate about for a living … these are amazing things and I’m truly grateful for all of them. When you remember to be grateful, you also remember that any of it can be taken away by circumstances. So I try to remember all of that and not think that I’m invincible or anything. I also remember that I’m not perfect, by a long shot. I try not to think I’m better than anyone else. If I’ve been successful as a blogger, there are dozens of bloggers who’ve actually done better than me … and for those below me in the blogging ladder, I remember what it was like to be on their rung. It’s a struggle, when you’re first starting out, and I know that. So I try to be kind to those who want to promote themselves on my blog, just as others were kind to me when I was in that position. Thanks for the advice, Leo! I think I’ll be experimenting with getting my blog started after finals are over. Thank you Leo for being a mentor in our lives. This Q & A was (is) priceless!! Just wanted to thank you for taking the time to do this. Really appreciate it. Hoping to slip one final one in if possible! Leo – with your recent success you must have days where you feel sky high.. Apart from the tips found in great posts written on this subject, is there a way you stay so grounded/humble?! You seem to be so good at it! I’m always looking for ways to better myself and part of that is taking advice from those that have been there / done that…. Thank you Leo. I appreciate it. About 10 minutes left for questions! “I am just getting into blogging and I have a good education in the fitness field. So, I decided I am best equipped to write about that. I am extremely excited and committed but I find it difficult to compete against already well established fitness blogs, stronglifts, marksdailyapple, etc. * Marks Daily Apple is my favorite right now. But his philosophy is just one way to go. There are lots of other things to write about that he doesn’t cover. * Stronglifts did well but hasn’t been updating since September. I don’t know why. But if he doesn’t update then he’s leaving a gap for others to fill. * I also really like Fitness Black Book … it fits my goals and most of my philosophy (except I like to run longer distances). But he updates maybe once per week at most these days. * Lots of great female bloggers, but they have a different audience than you would. * Ross Enemait is also excellent, as is Crossfit. But again, not a lot of high-quality posts coming out more than once every week or two from these guys. * Many of the other blogs (with some exceptions) don’t have high-quality stuff regularly. So if you could come out with amazing, high-quality, useful posts like they do on Stronglifts, Marks Daily Apple, Fitness Black Book, etc … but on a more regular basis, you could do very well. Especially if you have an appealing writing style and a good foundation of knowledge and experience. 1. Being original or different. Don’t just spout off the same advice that everyone else has. Sure, some stuff is common sense and you will probably have to educate people about that, but go beyond the basics and into new territory. 2. Being regular and sticking around. To be regular, you don’t need to eat bran. Just stick to a fairly regular schedule – maybe once a week, maybe 2-3 times, maybe 4-5 times. Not less than weekly though. And if you can stick around for more than a year, and be fairly regular during that time, you’ll beat most other new blogs. 3. Writing amazingly useful content. It’s been my experience that while there are a LOT of blogs, 95 percent of them don’t provide really, really useful content on a regular basis. They write about trivial things, but nothing of great use to me as a reader. So I leave them never to come back. But if a blog regularly has truly stupendous and useful content, you’ll keep coming back. Do this and you will stand out, no matter what niche you’re in. It just might take awhile to get noticed. I am just getting into blogging and I have a good education in the fitness field. So, I decided I am best equipped to write about that. I am extremely excited and committed but I find it difficult to compete against already well established fitness blogs, stronglifts, marksdailyapple, etc. What do you recommend in finding your own voice when there are already so many competitors with such great material? Awesome question! It might seem like the two are contradictory advice, but not necessarily. First, you should always write what you know and what you’re passionate about. Otherwise the reader will know you’re just BSing. You should also put the reader’s interests first, or you’ll lose him. But let’s picture a Venn diagram (the one with two overlapping circles) … one circle is all the stuff you know and are passionate about … the other circle is all the stuff the reader is interested in. The part that overlaps is what you write about. Don’t write about what you know but what the reader doesn’t care about. Also don’t write about what the reader is interested in but that you don’t care about or know anything about. Does that make sense? Both factors are equally important, so you should find the ground that overlaps. I’ve used some free stock photo sites before, but these days I mostly get my photos from Flickr. I do an advanced search that looks for photos (using a keyword I choose depending on the topic of the post) that are licensed under Creative Commons, for commercial use. I also click on “Most Interesting” and “Thumbnails” in the search results. This allows me to see the best photos first, in thumbnail view so I can review them quickly. I usually have to go through 5-10 pages of results to find a good photo. Sometimes more! And if I don’t find a good photo with a certain keyword, I’ll do several other keyword searches. * Person in the photo — if there’s no person in the photo, it’s not visually interesting enough. People like to see people. * Person isn’t too far away. Close-up stuff is usually better. You should be able to see their face. * Visually interesting people. Often that means attractive people (men as well as women) but not always — there are lots of great faces that aren’t necessarily attractive. Kids also are very visually interesting usually. * Good quality, lighting, vibrant colors. I will often crop a photo to get rid of extraneous stuff. I like close cropping. Also, be sure to give proper credit with a link back to the flickr page. Half the advice I see online is to always put your audience first. Write what *they* want. The other half says to write about what you’re passionate about. When you write what you think other people want, it’s obvious. So, how do you balance “write what you know” and “do what you love” against “put your reader first”? OK Blogging question this time. Where do you get the great photos for your post? I think they make your post visually appealing. Is there a cost for these photos? First, WordPress isn’t that difficult to use — for the most part, all you need to know are 1) where to write the post title; 2) where to write the post text; 3) how to set the category for the post; 3) how to add links and/or images; and 4) how to publish. And some settings. DEFINITELY focus almost entirely on writing great content. That’s what matters most, by far. The design isn’t super important at first, and neither is the technical stuff. Many bloggers get caught up in design, admin, stats, ads, and other such stuff, but all that really matters in the beginning is the content. Create a dozen amazingly useful articles. See Zen Habits posts for examples (just one kind of example, of course) of the kind of content you should probably be shooting for. Experiment, write great titles, and post regularly. Once you have 10-12 really powerful articles, then you can worry about promoting your blog. Not before. You can also tweak the design or look for better templates after you’ve started to create content, but don’t put off the content creation because you haven’t perfected design. People aren’t even coming to your site yet, so design doesn’t matter so much. If I didn’t make it clear enough … focus on content! The other stuff comes later. Leo – You’re the best. I am going to launch my own blog in a week but I do not have any experience with wordpress. I was wondering what would be the best way to allocate my time this week as well as in the first month of blogging. Should I be focusing on writing posts, site design, getting to know the technical side of it, or something complete different? Thanks! 1. Keep the existing blog but give it a makeover. Change the design to reflect your new focus, and announce it to your readers. 2. Start writing amazing content based on this new focus. 3. Perhaps slowly purge some of your archives if you like, getting rid of stuff that’s really not related to your new focus. Keep your best stuff. You don’t have to purge, but you can try. 4. Slowly your old readers, as well as new readers, will adjust to your new focus. Maybe they’ll even like it more. 1. Start a brand new blog with a new focus. This way you can start with a new name if you like, your own domain name, and a new design. 2. Feel free to import your best posts from the old blog if they’re related to the focus. 3. Make an announcement on your old blog that you will only be posting on your new blog, and that they should change their bookmarks and subscriptions. 4. After a week or so, you can install a script on blogger.com to redirect people to your new blog. See my original blog (zenhabits.blogspot.com) for an example of this. 5. If you had links to the old posts you moved to your new blog, ask bloggers to update their links to those posts with your new address. If you are still pretty small, I would prefer to start from scratch. But either way works. My first blog is a patchwork. I’d like to change that. What are your thoughts on giving focus to an existing blog that has a bit of many things? “I am a good writer. But a slow one. It usually takes me hours to finish one post. How can I write faster? 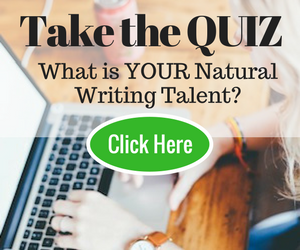 Actually, you’ve already answered the question — the more you write, the better you’ll get. I’ve been writing for almost 2 decades now and I’m much more skilled and much faster than I was when I first started. So just write as much as you can. Every day, for at least an hour if not 2-3 hours. Above, I recommended “The Elements of Style” by Strunk and White — it really is indispensable for any writer. It teaches you the basics, and is really a treatise on brevity for writers (among other things). By learning to write only the essential, you can speed up the process. Also pre-think your writing — think about a post while you’re exercising or driving or in the shower or, again, in one of those boring meetings. That way, when you sit down to write, you’re ready to go full bore. And again, write a lot, all the time, and you’ll get better and faster. I am a good writer. But a slow one. It usually takes me hours to finish one post. How can I write faster? I know the more I write, I the better I will get at this. Is there anything else which can help – Books / Courses / Some kind of writing process/routine ? Well, I started on Blogger.com because it was free and easy. However, I much prefer WordPress because it’s also easy to use but it has thousands of great free templates (if you search for them) and is more customizable. So start on WordPress.com … you can get a free account, although your domain will be darbyblog.wordpress.com (or whatever username you choose). If you have a few extra dollars, you can buy your own domain (most popular is GoDaddy.com) and then pay WordPress.com to link your new domain to your wp.com account. So you pay a few dollars (like $10-15 total) for a domain and for the routing of the domain name, but the wp.com account remains free I think. The only problem with free wp.com accts is that you have limited themes and customization. So you can later migrate to a paid host (I went to Bluehost.com after blogger.com) for about $8 a month, using a pre-installed version of wordpress, and move your domain name to that acct. That’s a little more expensive but you’ll probably do that after a few months. But start on wordpress.com … although you could certainly use blogger.com, or one of the many others out there. Where would you recommend launching a blog if you’r eon a shoestring? Very, very few bloggers are actual experts. I’m certainly not an expert. And yet, we write about what we know, what we experience, what we’ve learned, the mistakes we’ve made. As a 1L student, you are going through law school. Actually, you’ve already been accepted — a great place to start for those who are looking for advice on how to get in. 1L is a notoriously tough time, so you can share your experiences and what you’ve learned. You are also probably living the typical law student life, which means 1) great study and organization skills, 2) time management and effectiveness skills; 3) stress management; 4) frugality … and more. Write about that stuff. You might not realize it, but your experiences will be tremendously useful to others trying to do the same things. A very tough question. It’s an undoubted truth that you need to put yourself into your blog, or it will be too impersonal and won’t connect with readers. They’re looking for a real person, who struggles and stresses out and fails just as they do. So you need to share these struggles and stresses and failures, along with the good times and successes. You need to share yourself, to connect with others, so they can relate to you. Above all, be yourself. Let your personality express itself through your writing. Share your life, so that others may relate and learn. Just one? C’mon! That’s no fair! My favorite would probably be “The Elements of Style” by Strunk and White. In-dee-spensable! I also like “On Writing” by Stephen King, “Story” by Robert McKee (if you like screenwriting), “On Writing Well” by Zinsser, and a bunch of others. I love ALL words! Even made up ones. But some writers have a tendency to overdo adverbs and adjectives (including myself sometimes) which tends to get in the way of the writing. Use them if you like, but revise and cut them out if possible. Eliminate the non-essential. I’m a 1st year law student, and I’ve encountered many people and blogs that suggest that creating and maintaining a personal blog is great for your career. Most of them say that a blog will help you develop a personal brand, raise your profile amongst others in your field, and assist you in developing personal connections that may help you find a job or internship in this tough market. Beyond the career-related aspects of it, it seems like it would be fun and give me an opportunity to become a better writer. While all of the benefits sound wonderful, I have a couple questions / concerns that have kept me from taking the plunge. I’m hoping that you or another commenter here can provide some guidance. 1) One of the pieces of advice I see most frequently is that in order to have a successful blog, one must have a strong theme and stick to it. Since one of my primary goals is to use this blog to help my future career prospects, I feel like it needs to be based on law. As a 1L student, I don’t know that I have enough knowledge about the law to add anything substantive to the blogosphere. How can someone contribute effectively and maintain such a tight focus without being a bona fide expert? 2) One real concern I have is that blogging with an eye toward my career would be very constraining. Some of the best blogs I read are the most personal in nature (Penelope Trunk’s Brazen Careerist comes to mind). I feel like to have quality content, one needs to put at least some small sliver of themselves in to it. I worry that being too personal may be off-putting to potential employers who don’t share my views. How can someone at the beginning of their career path develop compelling material for a blog, let their voice own voice shine through, and stay inspired? Leo, thanks for your time. 1) What is the best book on writing you’ve read? 2) Adverbs … love ’em or hate ’em? I’d really recommend that you figure out what you’re passionate about. If you already know that, you’re off to a great start. If not, you need to start finding out by experimenting, learning, trying new things. Once you’ve figure that out, you need to pursue that will all your might. That might mean changing careers, which you should probably do gradually over time, gaining experience, skills, knowledge and reputation in your field in your spare time … early mornings, lunches, after work, weekends. If you’re passionate about it, you’ll be able to find the time and energy. Just keep pursuing that. It’s been done by many, many others and it can be done by you. Whatever your passion, figure out how to make a living doing it — even if it’s not a traditional career. It’ll make work fun. I love your blogs! Zen Habits has life changing articles!! Do you have any advice for someone who is sitting in a cubicle all day dreaming of a more authentic life? I feel like I am sitting in prison all day trying to break out and live a life I was meant to live. I would love your thoughts. “1) What’s your daily routine like? My daily routine changes over time. Currently, I get up and have coffee and read, and then go for a run or do other exercise. Then I come back and write. No email or other stuff until I write. I usually have 1-3 things I really want to get done each day — a post for WTD, for example, and doing something on another project. I try to get those 1-3 things done before I do anything else. I’m not always successful, but that’s my goal. After I get those 1-3 things done (including writing), I will process my email inbox, respond to comments, check other blogs, check my stats, and do other routine things like that. I’m usually done sometime in the afternoon, when I take a nap. 🙂 I also spend time with my family in the afternoon and evening. As for losing motivation and coming back with energy … sure, my motivation comes and goes. I think what keeps me coming back is the encouragement of my readers, and the excitement of doing something really great that they will love and find useful. Sometimes I’ll come up with some great ideas and just get excited about doing them. That comes and goes, so when it goes, I will usually find something else to get excited about, and come back to the writing when I get excited about that again. The main point, of course, is to find stuff to get excited about and go with it. It’s hard to push yourself to do something you find tedious, but you can channel your excitement in the right direction by looking for inspiration in the area you hope to get excited about. 1) What’s your daily routine like? Yeah, that’s a gray area. Actually, not too gray — most users on Digg don’t like it when a blogger keeps submitting his or her own stuff. SU might be different. That said, it’s kinda gray because a lot of bloggers do it (and I’ve done it myself). BUT … don’t do it. Not because it’s unethical (though it might be) but because it doesn’t work. Unless you’re already a top user on one of those sites, you won’t get a popular post by submitting it yourself. And if people see that you submitted your own stuff, you might be reported for spam and banned. What’s the better method? The best method is having a top user submit your stuff. But of course that isn’t easy, and they won’t submit it if they don’t see it (and even if they do see it, it had better be awesome if they’re going to submit). So how does a blogger that’s lower on the food chain take advantage of social media? I have to say that it’s not easy. I struggled with this the first few months of Zen Habits, and failed miserably. Eventually I stopped trying to submit or get others to submit, only because it never worked. I just didn’t have the large number of readers necessary to get the votes you need to get popular. But here’s what works better: get a link from a big blog and have them send traffic your way. That happened to me early on with Dumb Little Man and Lifehack.org. Those were huge days for me. And their traffic helped my post get to the delicious popular page. It’s not the Digg front page, but Digg fp is a pretty tough goal for a small blog. I’d shoot for delicious or SU. Getting a link from a big blog isn’t easy either, of course, but it’s easier than getting popular in social media if you don’t have a lot of readers. Once you have a good amount of traffic, you can get popular in social media much more easily — you have lots of readers to vote for you, and the top users will keep an eye on you for your best posts. I really appreciate your blog, and you taking the time out to answer our questions. My question is pretty simple– what do you think about submitting your own articles to social networking sites, like Digg or StumbleUpon? Is that frowned upon? Thanks again for your helpful insight! Actually, my answer would pretty much be the same as the answer I just gave Melissa — look at the above answer for more. Well, start by choosing something you’re very passionate about — you want to be able to write about it for at least a couple years if not more. But your question #1 is more difficult — how do you know what people are interested in reading about? First, it’s best to have a very defined idea of who your readers are — picture in your head the ideal reader. What is she interested in? What is her life like? What does she read besides your blog? What problems does she have? It’s hard to answer these questions except by 1) surveys or other demographic stats; 2) intuition based on interaction with your readers; and/or 3) actually asking your readers. I suggest doing all three. Reader polls or “ask the reader” type posts are great. As for question #2 … I would say experiment a little. First remember your ideal reader — if she likes pictures of dogs, she might also like articles about pet care … but she might also like other things like organizing your home or great recipes or fun things to do outdoors, etc. You don’t have to write about one topic, but write about things that your ideal reader might be interested in. This is hard to know at first, so try branching out a bit and gauging reader reaction. Ask them, in the comments, for feedback. See how many respond to the post, and then proceed from there. But I’ll answer anyway: no, not at this point. I’m still a full vegetarian, but I’ve been eating eggs and dairy recently (though I still drink soy milk) as I focus on less grains with my new diet. However, I still believe in the vegan philosophy of reducing or eliminating animal cruelty. So I would still like to be vegan someday — it’s just not my main focus at this point. Veganism can be difficult at first, but I believe it’s just a matter of finding the foods that work for you and incorporating them into your regular diet. So I plan to do it in the (relatively) near future. Well, my main sources of revenue are 1) ad networks such as Google Adsense, BlogAds and others (I experimented with a bunch of them to see what worked best for me, and dropped the low-performing ones while trying out new ones); and 2) ebook sales. However, neither of these sources of revenue would be possible without a lot of readers. So my recommendation is to start by trying to attract readers with great content, not by worrying about revenues. When you first start, no matter what ad systems or affiliate sales or ebooks you sell, you won’t make much money at all. In fact, the first year is rarely very profitable. What is more important than revenues in the first 6 months especially is building up readership. Focus on creating amazing content and building a brand and networking with bloggers and writing guest posts, rather than revenues. Once you have the traffic, the revenues will come. Not before. As for a part-time job, the same advice applies: try to build traffic before deciding whether you can make a part time living from the blog. And again, you won’t know that for at least 6 months and usually a year. Thanks for your time. I have a question about mixing content. Many of my friends warned me not to mix content. On my site, http://www.adawnjournal.com, I mix content keeping a little more weight on the personal finance side. I love writing on a variety of topics. What’s your opinion on this? Is it OK to mix content? NB – my trafic is increasing gradually. I’ve mentioned this before, but quitting smoking is really what opened my eyes to life changes. I’d failed a number of times, but when I learned some effective habit change techniques, I was successful (see ZH for more on these techniques). Then I used the same techniques to change other habits, from running to waking early to becoming organized etc. So habit changes were key for me. They also helped me simplify my life, as I learned to eliminate clutter, focus on doing less, reduce the amount of stuff I bought, simplify my wardrobe (seriously, I wear jeans, plain t-shirts and sandals everywhere), etc. The key habits that helped me when I started blogging were 1) focusing on the most important thing, which was creating great content (as opposed to affiliate marketing, blog design, stats, etc); and 2) writing that content first thing in the morning, before I did anything else. 2- how to know if you should be narrowing or broadening the topics you talk about in order to find that a group that is interested, without speaking about too many topics and thereby alienating half of your audience. are you still going to transition to full vegan? Well, obviously I waited until Zen Habits had a lot of readers before launching Write To Done. It was something I had wanted to do since the early days of Zen Habits, since writing and blogging is something I’m also passionate about, but I decided to wait until I had a very strong reader base at ZH. Once that happened, it was pretty easy. I linked from ZH to WTD about once a week. Not too often or your readers from the first blog will get tired of it. Put up a link from the first site to the second, fairly prominently. I have to say that WTD has grown fairly quickly compared to ZH, so it’s definitely much easier with a second blog. Also, you’re not starting from scratch so it’s easier to get guest posts on other blogs because they already know who you are. What kind of ad revenues do you like? Any suggestions to help us make this at least a part-time job? This is a tough one as I don’t consider myself an expert on niches. I don’t know enough about them to speak intelligently on the topic. I chose my niche because it was stuff I was passionate about, not because I thought I could do well. I tried to differentiate myself, however, by taking different angles than what everyone else had. Leo, I’ve been a long time reader of your blog and admire that you’re not only been able to write about things but often you’ve done them (stop smoking, get out of debt, etc). What were the biggest catalysts in your life in making the transition to a simplified (and more productive) life of doing? And with that, what were some of the tools or habits that helped you the most when you were starting out blogging? Thanks! I just launched another blog yesterday. My main blog targets marriage and has done well thus far, the new one parenting. My question is how have you successfully used one blog to leverage of another one? Yeah, this would take me forever to list! Seriously, I read a lot of blogs. And if I made a list I’d be leaving out a whole bunch that I read but can’t remember at this moment. And I’d make some bloggers feel bad cuz I forgot them. Geez, I could really go on forever. As for sites that are not well known … I do read many of them but not regularly and nothing I could name right now. Lately I’ve been on a fitness blog binge, reading all kinds of great little blogs that I’d never heard of before but that are pretty cool. Can’t name them off the top of my head. Oh, as for humor: pointlesswasteoftime.com used to be one of my favorites, as well as the Onion, Cracked, and prolly a bunch of others I can’t recall. Thanks for the opportunity, I’m four months into my first blog, and really appreciate your content and writing style. I’m wondering what your thoughts are on market saturation. I write on my site because I love to do it, but would also love to ‘ditch the day job’ so to speak, and spend much more of my time exploring online opportunities (me and several million other people!). Do you think I’ve missed the boat by not starting a year ago? It seems new blogs are everywhere..! Thanks again, have a great week. Umm, yeah, I might not be the best person to ask on this. 🙂 I tend to be really bad at large projects. I procrastinate on them to no end. Small tasks, however, I can do quickly and well. 1. I have someone to hold me accountable. Usually an editor or a partner or whoever I’m working with or for. 2. I commit to doing the first step of the project — something that will take a couple hrs at most — by a certain date or time. 3. I try to crank that out and get it to them by that deadline. The accountability keeps me motivated. 4. I then commit to doing the next step by a new deadline. Repeat until the project is done. Hey Leo, real quick, what are some of your favorite blog/sites, both in general and for humor? Any that reside on the underbelly of the net, as in not already overwhelmingly popular? I’m assuming that this is a Zen koan, so I’ll just meditate on it for awhile and you won’t hear anything for me for at least 1 minute! I’ve started many writing projects before, and I do enjoy writing… but I’ll end up getting 2 – 4 weeks into the project when something will come up where I’ll miss a few days and from there it tends to taper off until the project completely stops. What are some techniques you use to keep up with the writing projects you do? I tend to lose focus and would love to get more projects actually done instead of only having a small part done. * Great writers such as Fitzgerald, Joyce, Hemingway, Vonnegut … too many to name! I love novels. * Great non-fiction books such as GTD, 7 Habits of Highly Effective People, writings by Gandhi and the Dalai Lama, etc. * Great blogs — Lifehacker, Get Rich Slowly, Problogger, Copyblogger, too many to name!!! * My life — people I talk to, experiences I have, things I learn. * Magazines and other things I read and watch. What made me begin writing? I’ve been a writer since I was in school — probably started loving writing in middle school, when I wrote some stories and my teachers loved them. I think when I write something and it moves people in some way, that is a really gratifying experience. I love doing that. And that continues to this day, through Zen Habits and Write To Done. 1. Read a lot. No writer gets good without reading a ton. Read novels, non-fiction, blogs, magazines … the more you read, the better you’ll write. Pay close attention to how great writers write — what they do that makes them great. 2. Write a lot. Really, as much as possible. I’ve been writing professionally, as a journalist and freelancer and now a blogger, for the last 18 years. Since high school. I’ve written for dozens of print publications and dozens of blogs. I’ve written hundreds of thousands of words — if not millions (I haven’t done a calculation or anything). The point is, the more you write, the better you become with words. What is the sound of one hand typing? Hey Leo, Im a new Zen Habits subscriber and I can tell you Im impressed. As well as that, I am hoping to spend my lifetime writing. I want to make a career out of it. I admire your writing and I just wanted to know where you get your inspriation? What made you begin writing? And do you have any tips for an aspiring writer? Also, if I miss your question and answer questions below yours, please point that out — I don’t want to miss anyone! Actually, most of my online freelancing experience was with blogs. I contacted some top blogs that I noticed were paying their writers, and offered to do some freelance writing. I pointed to some of my best posts. They were interested, so we negotiated terms. You can do the same thing with online and print magazines. Just contact the editor and point to your best work. Try to be as professional as possible. Don’t say you’re “just a blogger” or “just starting out”. They want someone who knows what he’s doing. So act this way when you correspond with them. That said, I generally recommend that if you’re just starting out, you start out low. Accept a low fee in return for exposure and experience. As you gain a reputation and more experience, you can increase your rate for new gigs. Don’t accept less than $25 for a blog post. In fact, shoot for $50. Magazine articles should be more as they take much more time. The bigger blogs will also pay more than $50, especially if you have experience. Thanks Leo. I’m a big fan of lists too. So much so I have another blog just made up of lists (http://listsforlife.wordpress.com). Best tip so far about writing posts “in a boring meeting while you pretend to take notes on your laptop.” Love it. By the way I hold you personally responsible for my obsession with productivity, simplicity and blogging. Good stuff! I think i need to revisit your post on early rising, as i think writing first thing in the morning is an excellent idea! Yes, setting aside time for writing a novel is TOUGH. I had a very hard time with this when I wrote my book (which was non-fiction of course but same deal). First, I should share that I wrote a novel (well, not quite finished but almost) during NaNoWriMo in 2006. It was an awesome experience. I did this while still working full time, freelancing, etc. The way I did it was I would wake at 5 a.m. and write for 60-90 minutes straight. I would make my cup of coffee, and bleary eyed and all, just start typing. No matter what. Even if I didn’t have much to write, I would write. It was crappy, but I was writing. I would give the novel more thought during the day, sometimes taking notes, so I had ideas to write about when morning came. Sometimes I wrote in the evening, but morning was mandatory. Second, my non-fiction book experience: it’s hard to write a book and blog at the same time! The blog seems more urgent, as people expect you to blog almost every day. So I prioritized that for awhile and let the book get pushed back. But then I realized I had a looming deadline, so I put the book first. I wrote a bunch of posts ahead of time, got some guest posters, got someone to monitor comments, and kinda put the blog on autopilot. Then I set aside the first 6 hrs of my day for writing the book. No email, no blogging, no online reading. Just the book. I highly recommend clearing your schedule as much as possible and giving yourself big blocks of time each day for writing. And it should be the first thing you do if possible, so you don’t push it back when other things come up. Also, write in a plain text writer, not online and not in some complicated word processor — it helps you focus on the text. Keep the browser and IM and other distractions closed! I have just started getting into freelance writing and have decided to make it my full time career (until my blog kicks off). Just wondering the best ways to get work online. I am currently using digital point forums which has been pretty good to me. Is there anywhere else I can get work? Also, how much should I be charging. I am a native english speaker and a great writer (as you can see on my blog) but I do not know how much to charge. I have started by charging $0.01 per word. Is this too low? When should I increase it so I can still get enough work to cover the rent? Thanks for this opportunity to get quick feedback. I think this is why so many of your followers, including myself, continue to do so. First, thanks for sharing your story and for the kind words. I started Zen Habits in my “free time”. This was in Jan. 2007, when I had a full-time job with the government, was freelancing as a writer part time, and of course had 6 kids and was training for a marathon (among other things). So yeah, I know it can be hard to find time for blogging. My wife and mom were very supportive when I started. Having a supportive spouse is key if you’re married, otherwise it can’t be done (or it’s really really hard). My other friends and family didn’t know what a blog was at the time. They do now. I didn’t start blogging to be self employed, though very quickly I realized that 1) I loved doing it and 2) it could very possibly become a real career. But at first it was simply because I was learning a lot as I went through life changes and wanted to share what I was learning with others. Plus, as a writer, I thought I could take a shot at writing blog posts — I’d written newspaper and magazine articles for years, and blog posts didn’t look too hard. 🙂 Thanks, Leo! I did notice a while back that your wife’s name is Eva. Great name! I appreciate the answers. Thanks for a fantastic blog (in which pretty much every post is unmissable) and for giving so much back to the community. I am trying to set aside time for writing my novel and im finding it difficult. Can you give me any tips as to what you did with your daily routine when writing your book? I don’t always write it all at once, though. Often I’ll start a draft when an idea hits me, writing a bunch of notes while I’m inspired. Then I’ll come back later and add more thoughts and research, and then finish it. So it could be anywhere from 1-3 sessions of writing, taking from 1-2 hrs total. Yes! Actually, I much prefer it this way than not seeing my kids all day. But I’m pretty good at focusing. And my wife — whose name is Eva by the way! — actually does most of the work with the kids, as she homeschools them. So I’m really lucky. I do help with them, but she shoulders most of the load. Thank you Eva! 1. No one knows who you are or whether you’re a good writer. One of the main reasons to have a guest poster on your blog is because that person will contribute great content without you having to do the work. If the blogger is an unknown, he could write a crappy post. 2. You don’t have a lot of readers. The other main reason to accept a guest post is because that blogger will send a lot of traffic your way if he links to his guest post on your blog, from his blog. A new blogger doesn’t offer that. That said, you can combat the first point by having some amazing content on your site to point to. When you contact another blogger, link to 2-3 of your most awesome posts. The second point is more difficult, but you can use a ladder approach. Contact bloggers who are just a little bigger than you — if you have 100 subscribers, contact someone with 300-500 subscribers, for example. That way they won’t care so much that you don’t have a lot of readers. When you have a bigger number of readers, contact slightly larger blogs then. And so on, until you’re writing for the top guys. So to do a guest post for a blogger, send them a nice email. Compliment them and tell them why you like their blog (and you better like their blog if you’re trying to be a guest poster). Offer to do a guest post if they like. Link to 2-3 of your best posts. Be friendly and be brief. Big fan of Zen Habits and now I’m visiting Write to Done more often. Thanks to Chris (from Lifestyle Project) for pointing this Q&A out on Twitter. I’m fairly new to the social web/blogging. Although I consider myself a “techie”, I’ve always thought social media was a waste of time. That is until I started reading several blogs and consistently checked back on them, especially Zen Habits and Stepcase Lifehack. I think many of the productivity posts got me started blogging. I’ve been working on FrugalNYC and started another blog FrugalTech all in the last couple of months in my “free time”. I wanted to put my thoughts down in written form after reading much of what you and others have said. I’ll stop rambling and ask a question now. Do you think its possible to continue down this route on my “free time”? Did you have a lot of support from family and friends when you started blogging? Why did you start blogging? Was it to be self employed? Thanks and looking forward to your answers! Thanks so much for the opportunity to ask you questions. I am wondering how much time you spend, on average, on each post (or is there no average?). And, bonus question if I’m allowed, is it hard being at home trying to get work done with 6 kids? @Annie Binns: regarding importance of maintaining tone on your blog … great question! I have to admit that I don’t pay too much attention to this, other than I try to be a generally positive and helpful person. But that’s who I am in real life (for the most part). So that’s my advice: just be who you are. If you are funny, then express that in your writing. If you are also serious and sad and contemplative, express that as well. As long as you remain true to yourself, I don’t think a change in mood is very jarring … you’re just showing different parts of yourself. If, however, you try to be artificially funny just because you want to create a humorous site, and that’s not really you, people will detect the truth over time and realize you’re being disingenuous. great – thanks Leo – you’re sites are fantastic! As a side note – my husband was telling me recently about a particular topic he was researching and how he found a great article about it. I told him that he needed to go to Zen Habits because there’s a post all about his topic and wouldn’t you know it – it was the same article he had been referring to! He found your site all on his owned and loved it! * Then I’ll write an intro that shows the reader why he should care about the post. It might be anywhere from 3-7 paragraphs. Not too long. * Then I’ll expand the list — it might turn out that each point in the list is a subsection of the post, or they could just be items on a list with a few sentences after the main point. * To put on some finishing touches, I’ll often do some quotes from great people, maybe links to relevant articles (on my site or others), and definitely a great photo that attracts the eye. * Of course, don’t forget a great headline! How does one become a guest poster? @Tabitha: Yes, when my blog first started — the first few weeks — I did comment on other blogs. I tried not to make it spammy, and made it relevant and interesting and only provided a link to one of my posts when it was really useful. It helped a little, but not much. However, it’s pretty difficult to get noticed at first, so doing things like this that help a little is pretty much all you can do. Thanks for this chance to have some Q & A! I would like your opinion about the importance, or not, of maintaining a consistent tone in your blog. For example, I’ve tried to stay on the funnier side of things, but recently hit a dry spell where I could not squeeze a giggle out of myself if my life depended on it. As a result, I simply stopped writing, rather than either lose readers who like to laugh; or attract a more dour crowd. (“Crowd” is a massive exaggeration in this case). I broke the dry spell yesterday, but am curious if your advice would have been to keep on going, or wait until I could write in the tone I started out with. 1. Focus on creating amazing, info-packed, useful articles on something people really want to do. 2. Do the same thing in guest posts for other blogs as often as your time permits. To get to step 2, you’ll have to network with other bloggers. First stage: you only have a few subscribers, and you’re just getting a feel for blogging. Experiment with different posts, try imitating some of the popular ones if you like, get a feel for what works for you. Comment on other sites and start networking with other bloggers. Second stage: you’re growing, maybe 50-100 subscribers. Focus on creating great content, bonding with your subscribers, networking with other bloggers, and try to do some guest posts. Maybe enter into some carnivals. Third stage: maybe a few hundred to 500 subscribers. See if you can get on the delicious popular page … write a comprehensive guide to doing something fantastic. Focus on guest posts. Try to become part of a blog network, even an informal one. Fourth stage: somewhere near or above 1000 subscribers. Now you’re established. You can do guest posts on top blogs. You should get a few popular posts on delicious and SU. Focus on really powerful posts. Hi Leo. Thanks for taking the time to answer our questions, and on a personal note for your inspirational blogging. I am a fairly new blogger. I don’t have a problem coming up with ideas for posts, defining post structure and writing the first draft, I do however struggle to finish, and edit my posts for publication. Have you any tips for applying the finishing touches to posts, and editing to take them from a draft to publishable form. What were some of the first steps you took to bring more visibility to your blog? Do you comment on others’ blogs often – do you find this helps? Hi Leo, how do you see the different stages of a blog (maybe measured by subscriber numbers) and what strategies fit with each stage? PS This is an awesome opportunity, Leo. Thanks! !